UPSO's creator, David Chadwick hates throwing things away. 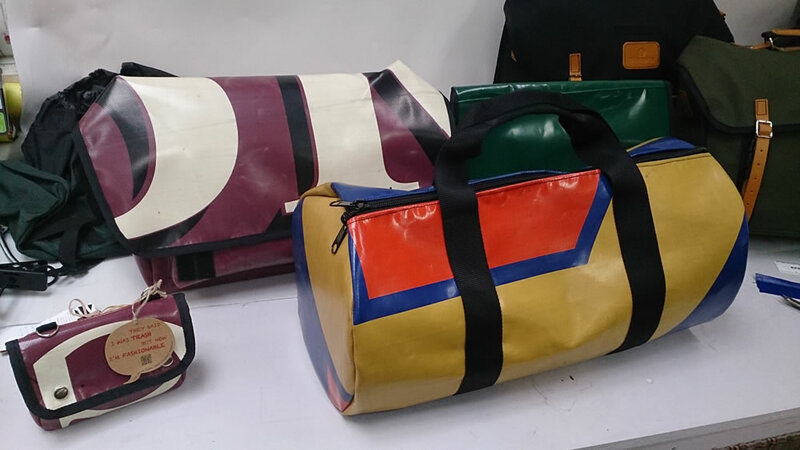 His experience as a successful bag manufacturer means that he is constantly looking for ways to maximise resources and minimise waste. 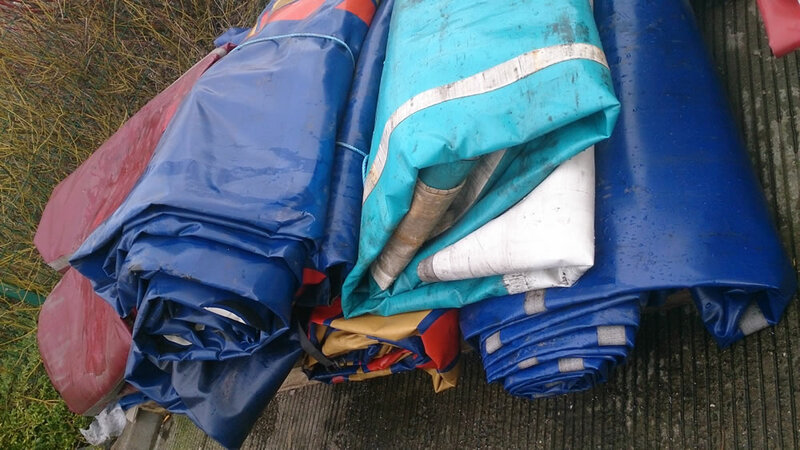 David found that lorry tarpaulins provide a waterproof, durable fabric that would otherwise end up as landfill once its life on the road ends. 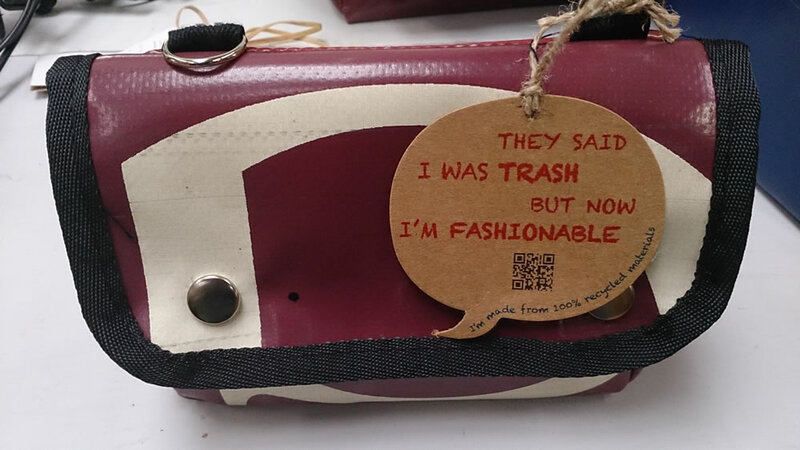 UPSO brings together recyclable materials with considered and functional design to create distinctive and unique bags with a stylish edge. 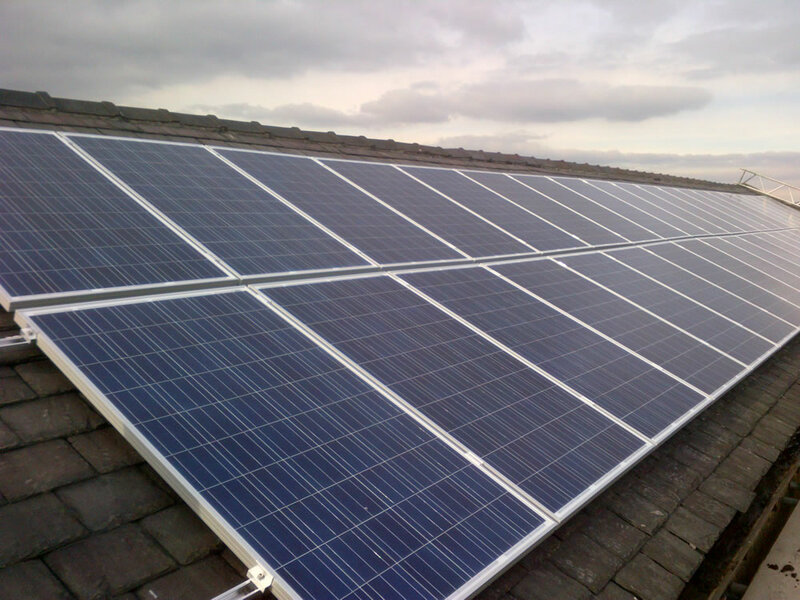 The environmental impact of UPSO bags is limited by sourcing materials locally and undertaking the whole process in one Lancashire factory, which uses solar energy to power the sewing machines. The tarps are cleaned, hand cut and sewn into bags ready for customer selection. Further upcycling uses old fire hoses and seat belt webbing as components. 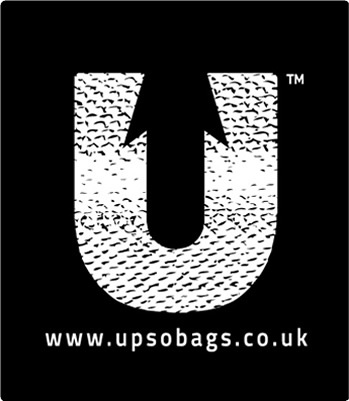 The UPSO range is designed for people who want a bag that is different and individual. Due to the varied previous lives of the the lorry tarps and the way they are selected and processed, no two bags are the same. As well as being given a unique reference number, each bag is signed by its maker. On foot or on two wheels, UPSO owners are guaranteed a completely original bag." 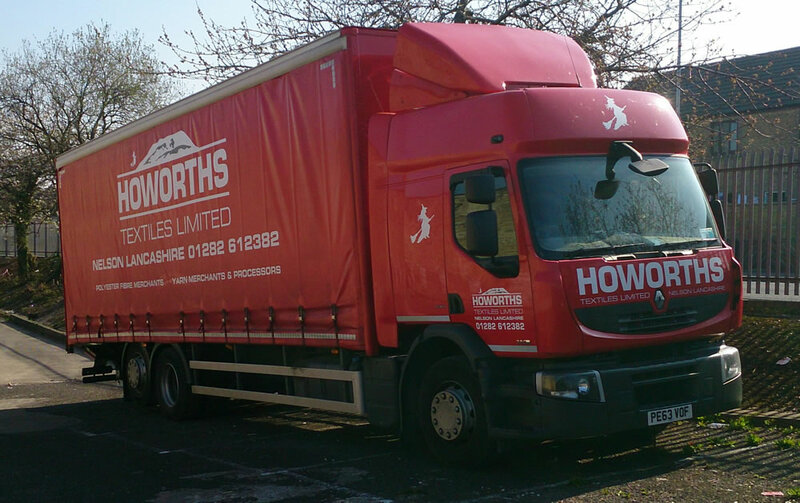 Lorry tarpaulins provide a waterproof, durable fabric that would otherwise end up as landfill once its life on the road ends. The tarps are cleaned, hand cut and sewn into bags ready for customer selection. 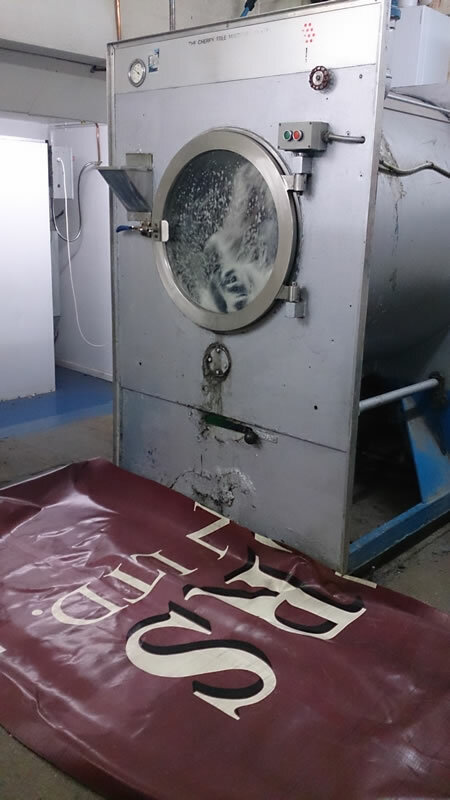 The whole process in one Lancashire factory. The tarps are cleaned, hand cut and sewn into bags ready for customer selection. Further upcycling uses old fire hoses and seat belt webbing as components. 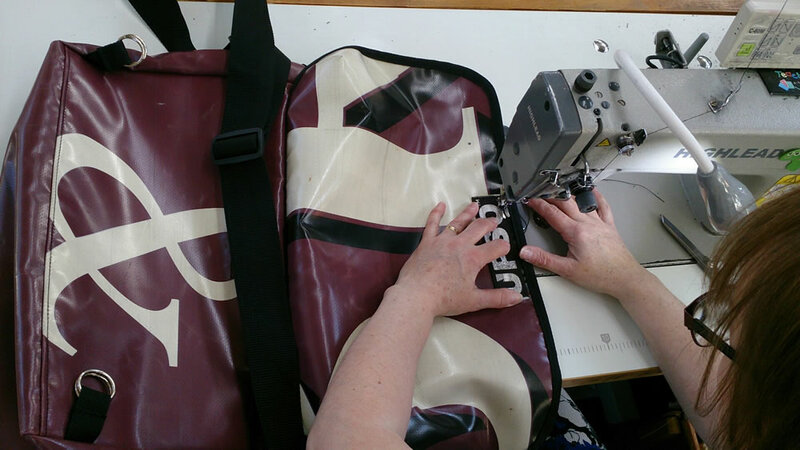 As well as being given a unique reference number, each bag is signed by its maker. 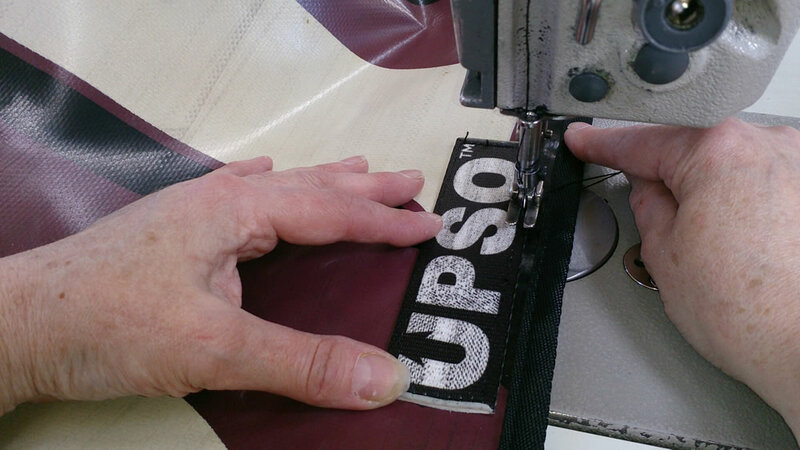 The UPSO range is designed for people who want a bag that is different and individual. Due to the varied previous lives of the the lorry tarps and the way they are selected and processed, no two bags are the same. A completed bag ready to go. UPSO brings together recyclable materials with considered and functional design to create distinctive and unique bags with a stylish edge.